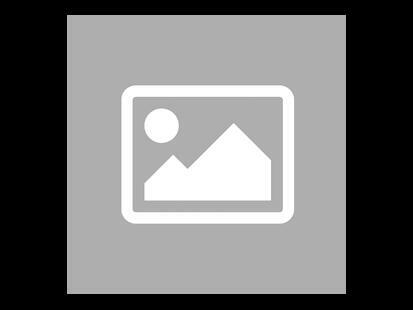 Face dangerous threats, as a fifth virus spreads around the globe and high-risk areas affect gambling in terrible ways. Luckily, new experts are joining the fight to help you! 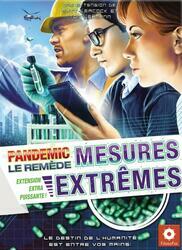 Extreme measures, a good dose of expansion for Pandemic: The Remedy! Be careful this game is an extension of Pandémie: Le Remède and cannot be played alone. To be able to play it you must have a copy of the game Pandémie: Le Remède . Contents of the box : 8 counters, 8 Role cards, 40 player dice, 11 event cards, 3 event cards, 3 event cards to be created, 12 violet disease dice, 1 exposed remedy card (including violet), 1 reference card - The mutation, 1 sticker sheet, 11 risk area dice, 5 reference cards - risk area.